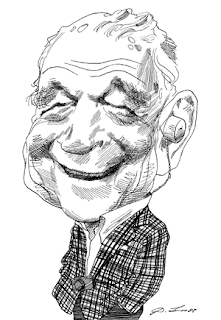 A lot of work in cognitive science involves robots of one kind of another. Robots are useful, because you can build them according to a range of design principles, and you will know exactly what the system does and does not have available to it. For example, Barrett (2011) reviews some work by Barbara Webb, who has built robot crickets that contain very simple nervous systems and ears placed in particular configurations. These robots produce all the mate selection behaviour seen in real crickets, and are a strong proof of the claim that real crickets also behave in this embodied fashion because Webb knows exactly what her robots can and can't do. My two favourite perception-action robots are Asimo and Big Dog. They are each exemplars of the different approaches to explaining behaviour, and what they can and can't do is highly informative because we know exactly how each was built. 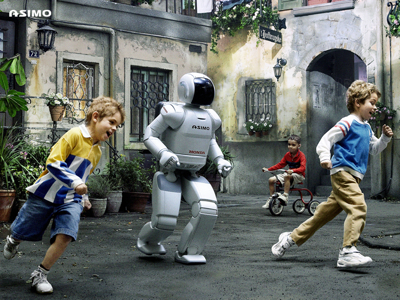 Asimo is a robot made by Honda, to showcase their technological skills. He literally implements an information-processing, representational style of control: his on-board computers perform sophisticated image processing on 2D snapshots of the world, and every one of his movements is controlled explicitly by programmes he has been given that transform this visual input into motor commands. With the right programme, he can walk, run, dance and climb stairs. He is quite slow; it takes him time to select the correct action, for instance. However, Honda suggest that this is merely a state-of-the-art problem: as computer hardware improves, Asimo's performance will simply get better and better. Asimo misses the stair by a tiny amount, and utterly fails to catch himself. I show this video in class, and ask students whether they've ever missed a step by such a small amount - most have. I then ask what happened, and only a couple have ever had a serious fall as a result. Critical failures are, of course, possible - but they aren't common, which is lucky because they have serious consequences. Marc Raibert and the team at the MIT Leg Lab were interested in building stable robots with legs who could walk and maintain balance. Their approach was grounded in dynamical systems, and instead of complex computers solving algorithms to maintain balance, they simply built robots with springy legs and joints that mimic the kind of dynamical system found in bipedal locomotion, specifically the dynamic of a bouncing ball. The Leg Lab built numerous examples of legged robots in which the work of producing gait patterns, etc emerged from the way the robots were built. 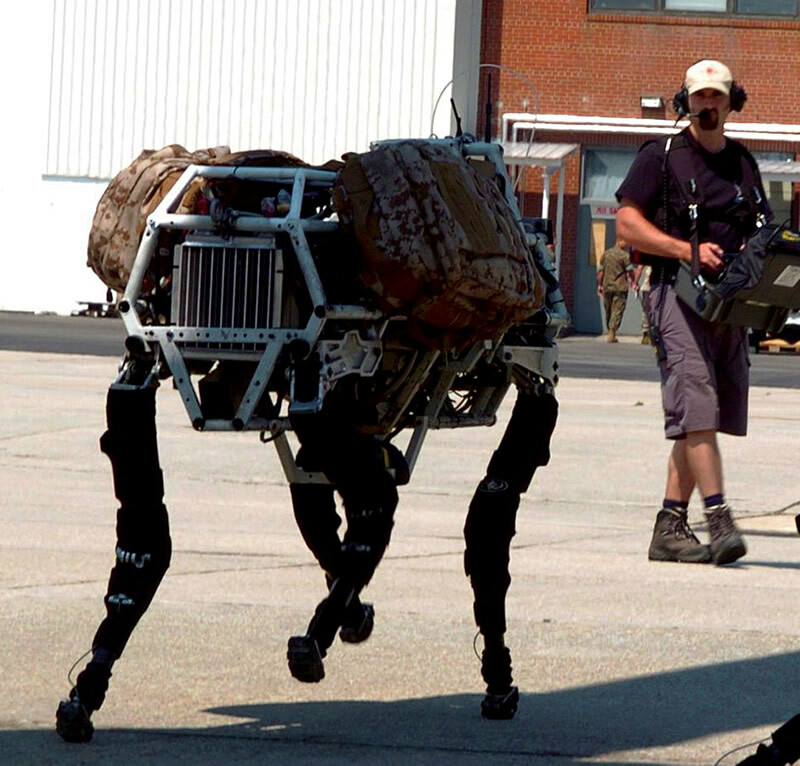 Raibert left MIT and formed Boston Dynamics to develop these robots for commercial and military applications. 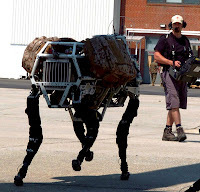 The company's star is Big Dog, a quadruped robot who can traverse unstable terrain and carry heavy loads. Big Dog has very little brain; he has many sensors tracking the state of his various components (power, etc) but nothing dictating the specific form of his motion. He goes where he's told and his legs do what they need to do to get him there. The key comparison with Asimo comes 30s into the above video; Big Dog is given a huge kick from the side, and simply catches himself in a remarkably biological-looking manner (watch his legs splay out to catch himself). Big Dog does not have a programme that enables him to cope with this perturbation. He is simply built in a way that enables him to cope with the perturbation; his response capabilities are literally embodied, and therefore fast. In contrast, Asimo falls because he a) doesn't have a programme that tells him how to respond to this situation and b) because even if he did have such a programme, it would take him too long to find it and implement it. Big Dog's behaviour emerges from his embodiment; Asimo's is imposed by his programming. We act a lot more like Big Dog than Asimo, and the fact that you can get this kind of sophisticated behaviour without any explicit planning or representational control is an existence proof of a new way of thinking about behaviour. Robotics is to psychology as engineering is to physics: it's where your elegant theory either builds a robot that works or it doesn't. Dynamical robots can be made to produce all kinds of complex behaviour by simply being built in a specific way that relates to it's environment in a specific way; they are task specific devices, and smart ones at that. Information processing robots are slow, unstable, and occasionally beat humans at chess (something we aren't all that good at anyway). Dynamical robots can typically only do their one thing very well; but then, they don't have nervous systems which support the quick assembly and disassembly of resources into different devices. If you implement this soft assembly for them (by, perhaps, moving some of their sensors or altering the dynamics of their limbs) then different behaviour emerges; fixing this one lack of flexibility is, therefore, simply just a matter of making a robot that can do that for itself. News just in: Boston Dynamics release their latest, a 6ft tall, 180lb biped called PETMAN. This is the first time I heard about robot crickets.That is an interesting news! The robotics stuff is a very underrated part of the whole dynamic systems view of cognition. Agreed! People do know about it, it shows up in Andy Clark's work for example, but I've always liked robotics because it's where the rubber meets the road for your theory - make something according to the way you think things work and see if it works!